The Gold Britannia coin is the official gold bullion coin of the United Kingdom. It has been produced continuously by the Royal Mint of London since 1987. 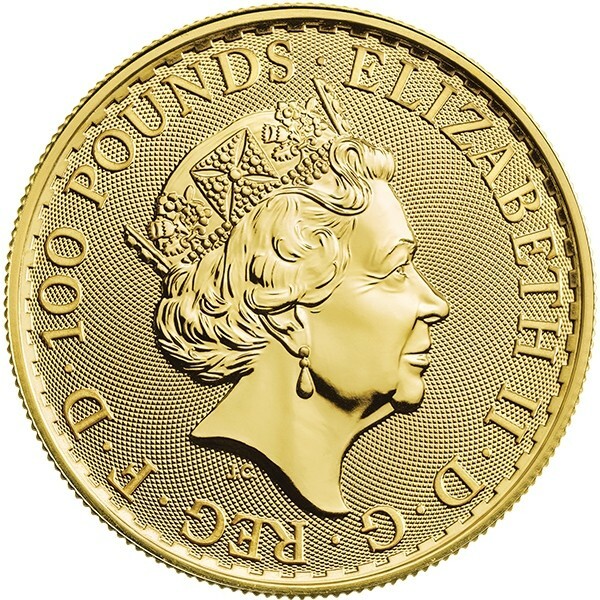 It is the only bullion coin in the marketplace denominated in British Pounds. The Royal Mint is the facility permitted to manufacture the coins of Great Britain. It produces both the country’s bullion and circulating coinage. The Royal Mint, in addition to issuing currency for the United Kingdom, also mints coinage and medals for other countries. The institution, amazingly, traces its roots back to the year 886 with the establishment of the London Mint. It has survived countless wars and changes in British rule. Famously, Sir Isaac Newton served as the Warden of the Mint in the 1700s. 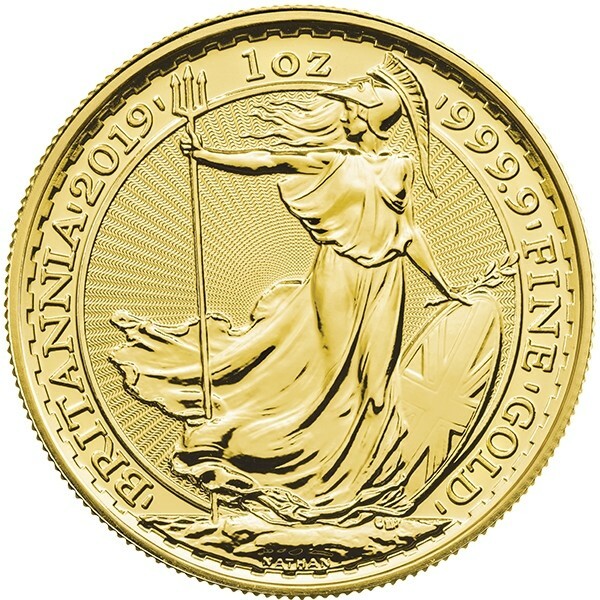 Each British Gold Britannia contains one (1) ounce of .9999 fine gold. They have a diameter of 32.16mm and a thickness of 1.8mm. The obverse displays a portrait of Queen Elizabeth (as is common practice for the United Kingdom) and the coin’s face value of £100. Meanwhile, the reverse depicts a portrait of Britannia, a symbol of Great Britain, holding a shield. The date is displayed on the reverse. Why Buy the UK Gold Britannia? The United Kingdom Gold Britannia is an excellent choice for collectors and investors wanting to buy a sovereign-minted gold coin at a low premium. It is also popular as the only gold bullion coin carrying a face value denominated in Pounds Sterling. The coin is also well-liked for its beautiful and iconic design. As Low As $35.49 Over Spot!